How did two programmers—one from Germany and the other from Denmark—team up to create a tool that bridges the gap between animation and virtual reality? 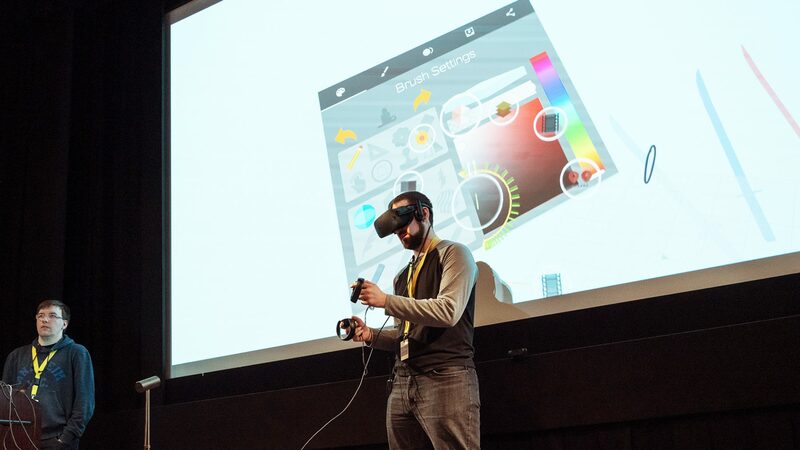 Milan Grajetzki and Dario Seyb recently stopped by Montreal’s NFB studios to talk about how AnimVR came to be. “Our partnership began a year-and-a-half ago, after we met through video gaming and kept running into each other afterwards,” explains Milan, a software designer who got his start in music and games. After studying media arts, he found himself drawn to programming and the new means of expression that technology offers. Milan first met his partner Dario in Copenhagen during a course at the Danish Film School. He was one of the many students from around Europe invited for a five-month program to work on an animated film and a game. Before studying programming, Dario had thought about becoming a 3D artist or animator. 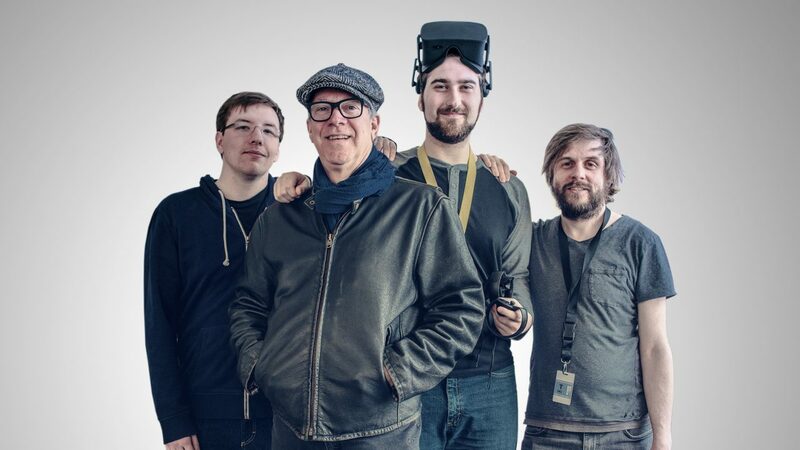 After the project in Copenhagen, the two designers met again at several “game jams,” until one day Milan came up with the basic idea behind AnimVR at the Annecy Festival. “I was staying with some animator friends and they saw me using tools like Tilt Brush. They were intrigued! So I stayed in the apartment for a whole day to create a little prototype especially for their work, just to show them. I was curious to find out if it would work well for them.” Milan continued to work on the project while on the bus to the festival and eventually released a prototype on the Internet. The enthusiasm with which it was greeted exceeded all his expectations. Encouraged by the positive reaction, he continued to reflect on what animators really needed. The idea finally crystallized for him while attending a lecture on 3D shapes at Media Molecule. “It was so much more intuitive and flexible—a little like stop-motion with clay. I discovered that there was a very human feeling that you don’t always get while drawing on the computer. I immediately thought to myself that it would be very cool to be able to do that in VR.” And the best person he knew to implement it was Dario. Which is how Milan and Dario came to start working together on a VR sculpting program. 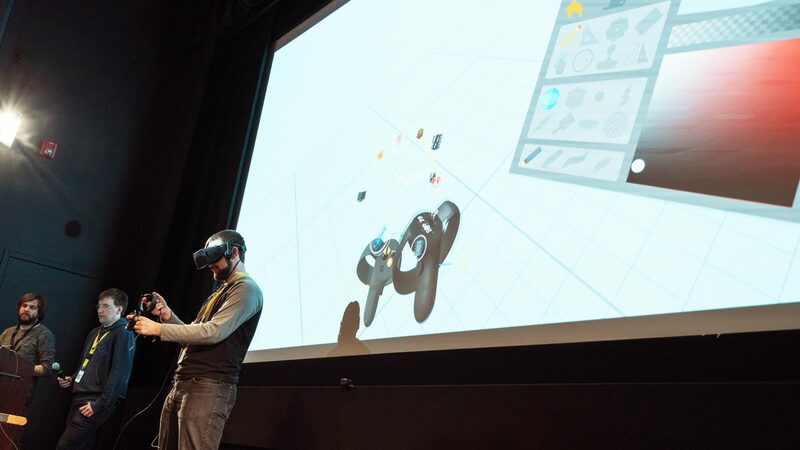 When Oculus launched a similar tool, they decided to take a turn toward AnimVR, a program that allows animators to draw and animate in VR using a set of tools inspired directly by traditional animation methods. Though the two founders of AnimVR (who later also created the company NVRMIND) thoroughly understand the needs of animators, the contribution of the artists themselves is key to their process. 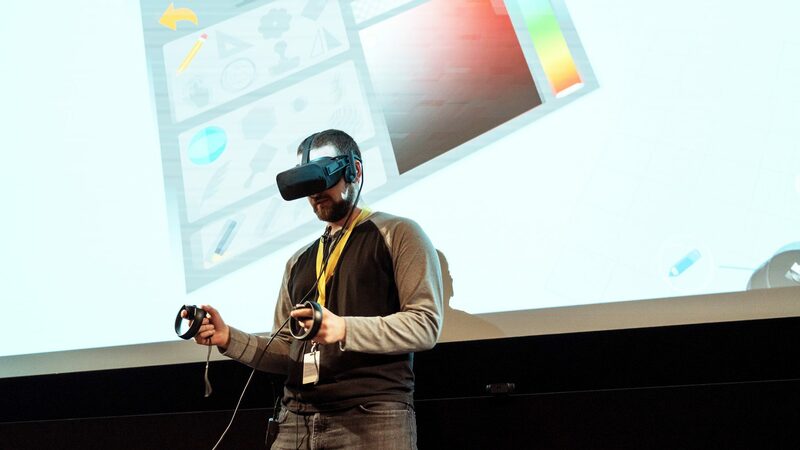 So they ask animators to take part, either online or during lectures or workshops that they hold, in order to get their impressions on the current AnimVR beta. 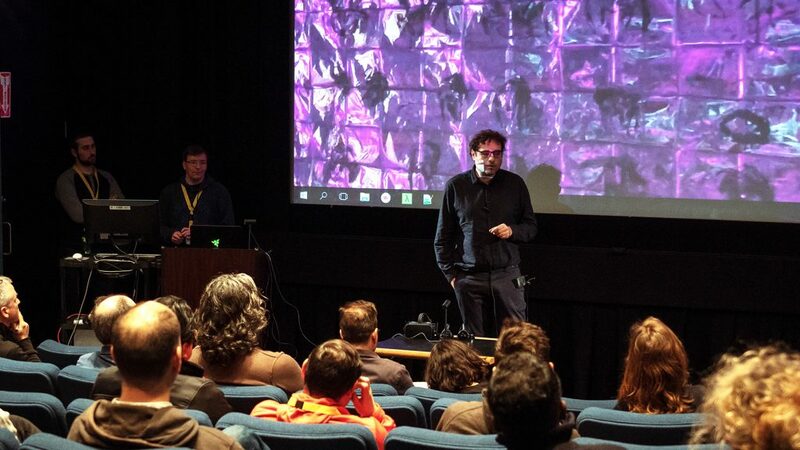 One such event was an AnimVR training and creation session at the NFB from April 17 to 20, which gave some 40 participants a chance to familiarize themselves with the new program and learn more during individual experimentation sessions supervised by Milan and Dario. At each step of the process, the designers asked participants directly for comments about the program. For Dario, it was a golden opportunity. Dario also mentions that many people have been testing the program continuously for over a year, and that the official version should be released in early July of 2018. In a world dominated by big players like Google, Oculus, and Facebook, this pair is working relentlessly to perfect their program, whose potential benefits are enormous. “My goal is to explore new methods of expression, and I want the tools I create to be intuitive, without anything coming between thought and action. I can’t claim that we alone will transform the world of animation—it’s a group effort. It’s the animation community as a whole that is revolutionizing the world of animation right now,” concludes Milan.